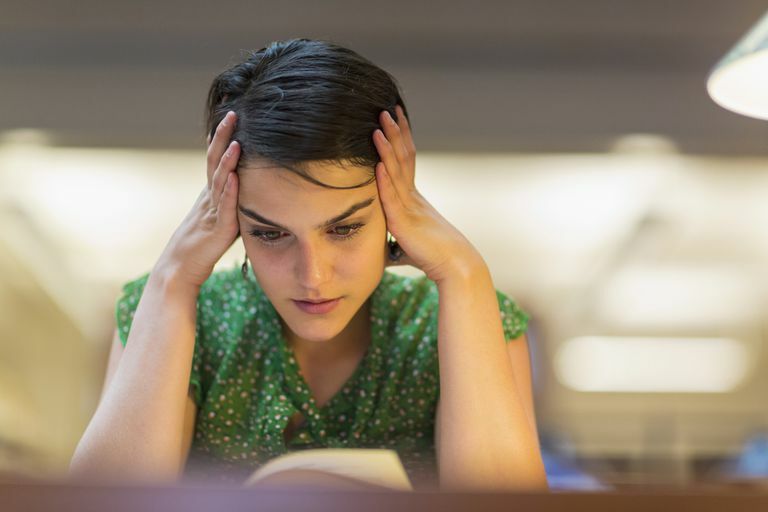 Since borderline personality disorder increases the odds that one will have difficulty following through with life plans and goals, college students with BPD may struggle to succeed in school. A student with BPD may enroll in classes every fall full of good intentions, only to stop going to class or doing the work well before the semester ends. Individuals with BPD may be just as baffled as their friends and family by their failure to complete the school term. Their loved ones might say of the student, "She is intelligent, capable and was really looking forward to the start of classes." They might also point out, "He was doing well in class and clearly understood the material." Many borderline students may start off doing well in school, but at some point, their performance may take a turn for the worst. The student may suddenly lose interest in school or become paralyzed with anxiety by the possibility that he will not succeed. Some students even begin to believe that teachers and classmates do not like them or want them in class, making it unbearable for them to continue showing up. A number of triggers may influence a person with borderline personality disorder to fail in college or in training programs. Common BPD symptoms, such as lack of a cohesive sense of self, impulsive self-destructive behaviors, intense, unstable relationships and fear of abandonment, may each play a role, along with depression and anxiety. Whatever the trigger, borderline students' interest in school may wane when the coursework or instructors fail to immediately gratify them. Quitting, whether on purpose or by default, can seem like the only option. To compensate for an unsuccessful academic term, a borderline student may decide to register for as many classes as possible the next term to catch up. But this decision can be a recipe for disaster. It is important that students with BPD plan realistically after academic setbacks. Focusing on “hurrying up and finishing” can set anyone up for failure. Instead of taking as many classes as possible, register for one or two classes that aren't too rigorous. Part-time attendance will still move students toward their goal of graduating, and they can always increase their course load in another school term. Students with borderline personality should also focus on creating a supportive living environment to succeed academically. Relocating or moving into a dorm with strangers can create tension that risks derailing even the most carefully made plans. Although it may not be ideal, students should strongly consider staying in their current living environment to boost their odds of excelling in school. Students should also keep everything in perspective. Decisions a student makes to be successful one term can be reevaluated each subsequent term. It is better to plan to take something slowly, and in the safest and most secure manner, instead of failing again. Students should discuss their plans with someone they trust, like a therapist. A therapist can identify potential problem areas with a plan. Together, the student and the therapist can work through negative feelings, address time management issues and remain focused on the ultimate goal—graduation.